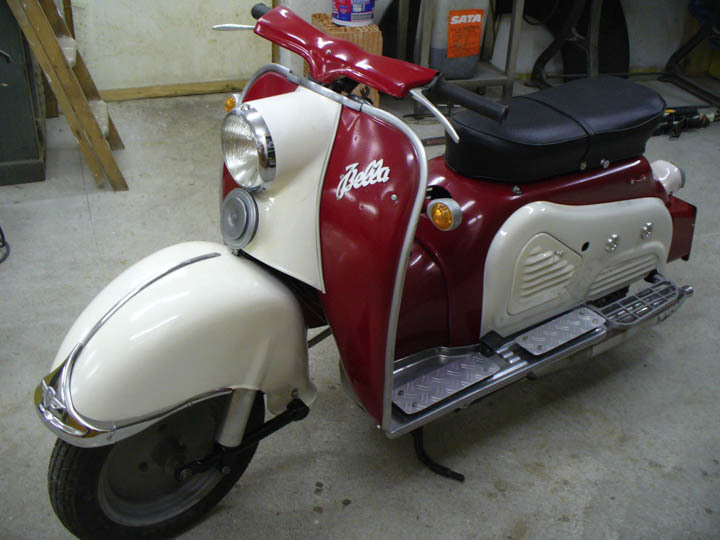 So I guess the first question is why pick an obscure 1955 german scooter that few people have heard of over a vespa or lambretta. 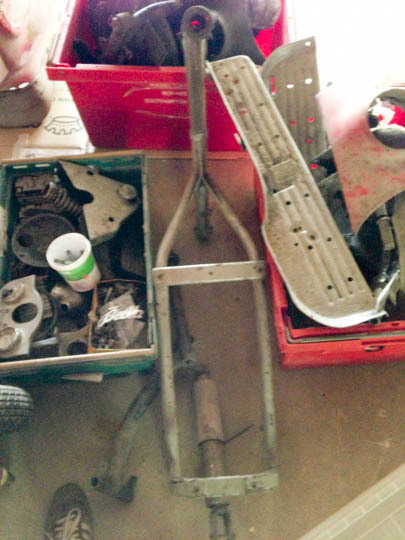 I mean, if you are going to restore a 50+ year old scooter it’d be good if there was a ready knowledge base and parts supply wouldn’t it. In retrospect I think it can be put down to two things, an impulse and an excess of wine. I must admit to having no knowledge whatsoever of the Zundapp Bella before I purchased it, but a quick google told me it would look cool. The second question is why you’d buy one as a box of bits in the UK when you live in Dubai… I would direct you to my previous reasoning! So here we have it, my latest purchase, a box of Bella. 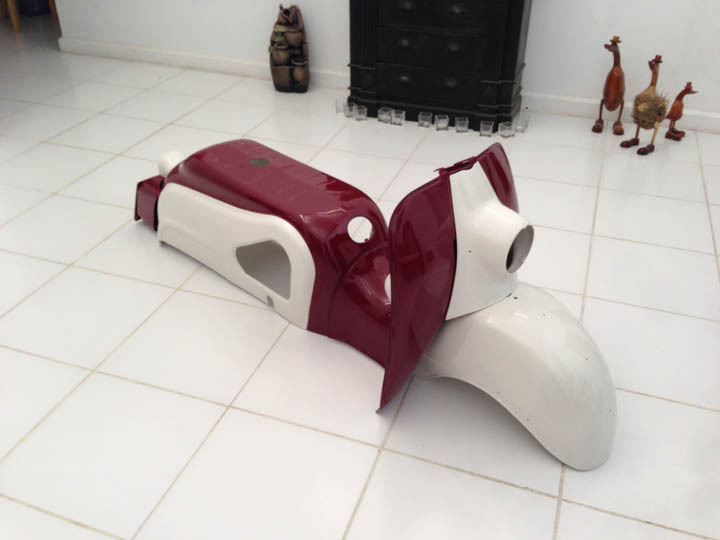 The reality is I wanted something mechanically simple that I could tinker away with in my recently built air-conditioned ‘shed’ in Dubai, something small enough to fit and different enough to be interesting. 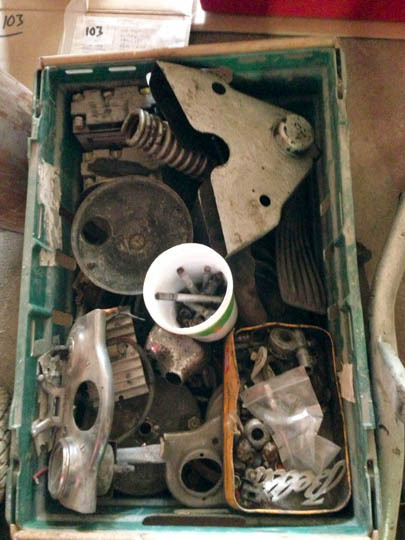 Having sorted through the bike and an half I’d purchased I arranged shipping to Dubai through a friendly freight firm and it arrived safely in hundreds of rusty pieces some weeks later. 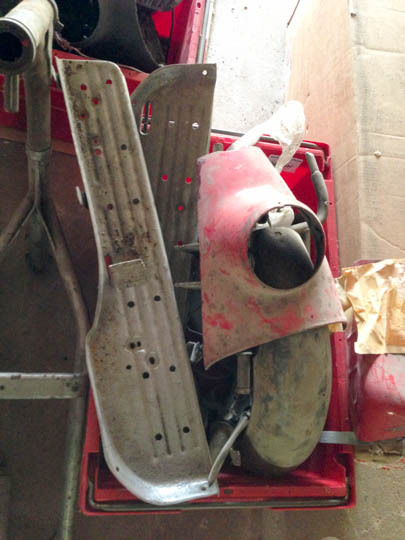 Easy work first – strip what was partially assembled, send it for blasting and powder coating. There is a good community hidden away in Dubai and Sharjah for old bikes and cars, one I’m getting to know better and better. There are also some reasonably good services out there, little first class, but for a project like the Bella, they are fit for purpose. The frame etc was blasted and coated in pretty industrial fashion, but it worked and after re-cutting a few threads I was happy. 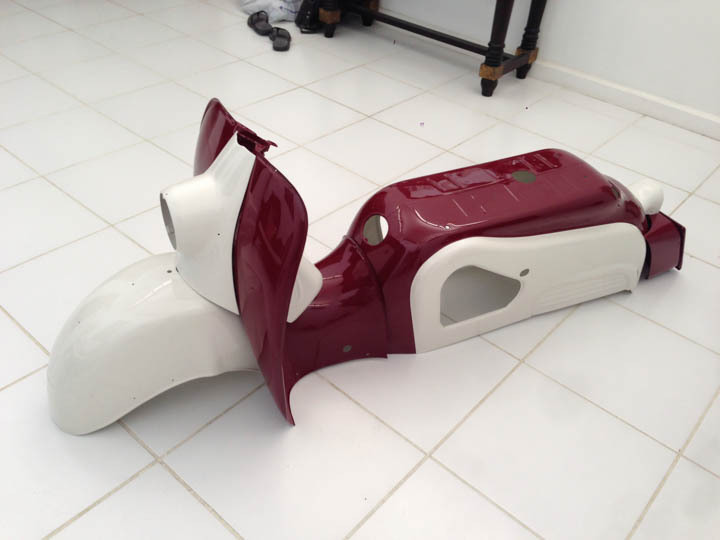 For the bodywork I was pointed to a specialist and I must say the service was great. Wayne at Blastech worked his magic and then pointed me to Will at Dentmaster. Needless to say I’d happily recommend them both and have been back to Will for the bodywork on my CBX. A classic burgundy and light cream – looking good. I’ve needed a fair few parts for the Bella and luckily there are some specialist suppliers our there in Germany and the Netherlands. Also some great knowledge around the world shared by Owners Clubs and Facebook groups. I ordered many parts from Bouge at www.bella-ersatztiele.de … after translating the parts manual I eventually found an outdated parts list from him in English. He’s been able to get me most of what I need, although sometimes the prices can be a little scary, but then they are scarce. 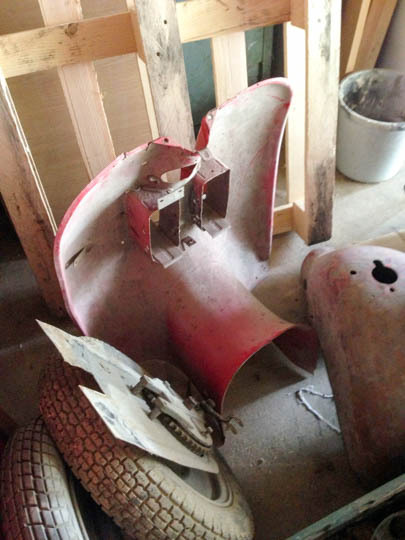 So on to assembly… well that’s where I am, it went back together, turned over and fired, so now to take it all apart again and make good.